Think about all the things we are supposed to do to be a successful and thriving person: exercise three times a week, eat right, journal, work on your past, plan for your future, invest in your retirement, set goals, work hard, build relationships, always be learning, try to relax and the list goes on and on. Yet, despite all these things, we are lonelier, more insecure, more depressed and more anxious than ever before. We talk to friends, read books, seek counseling, listen to mentors, experts and life coaches and the result is still the same–we feel stuck. With all the emphasis on self-improvement, most of us continually feel even more empty and lonelier than ever. To complicate things even more, when we turn to the Bible it says we’re supposed to “die to self”. And the way we do that is to capture every thought, produce fruit, share our faith, renew our minds, forgive those who have wronged us and the list goes on and on. Recently I found myself in a particularly stressful few months filled with disappointments and unmet expectations leading to a heightened sense anxiety. I often find that my life would be a lot easier if everyone (including God) would just do as I say, which is never the case. So I decided to take a shot at self-improvement to ease the anxiety. I first began by getting a counselor. We met regularly to help me process my thoughts and give me some direction. Then I wondered if the problem was medical, so I met with a psychiatrist to see if I needed medication. I scheduled an appointment with my doctor for a physical, my chiropractor for an adjustment and even my dentist for a cleaning (you never know). I also worked on my physical health. I joined a gym, met with a trainer, downloaded diet apps, switched to bulletproof coffee, counted carbs and even took a shot of wheatgrass once in a while. I listened to podcasts from the wiser people than I, watched videos from experts, read countless books on fear, anxiety and personal development and even tried meditation. And though I lowered my cholesterol, raised my self-awareness and everything brought about a small amount of relief–I still felt stuck. The more I discover about myself, the more I realize, “no one is like me”. Because of all the personality tests, strength finders and temperament assessments, I felt like I was put into a pretty narrow category. Which, made me realize that in my attempts to find myself, I lost myself. At the end of the day, I came to this startling realization–in my attempt to find myself, I lost myself. Maybe that’s what Jesus meant when he said, “Whoever seeks to find himself will lose himself, but whoever loses his life for my sake will find it.” Maybe this is why Jesus saw community as being so valuable. He understood the reality that I am now beginning to discover. 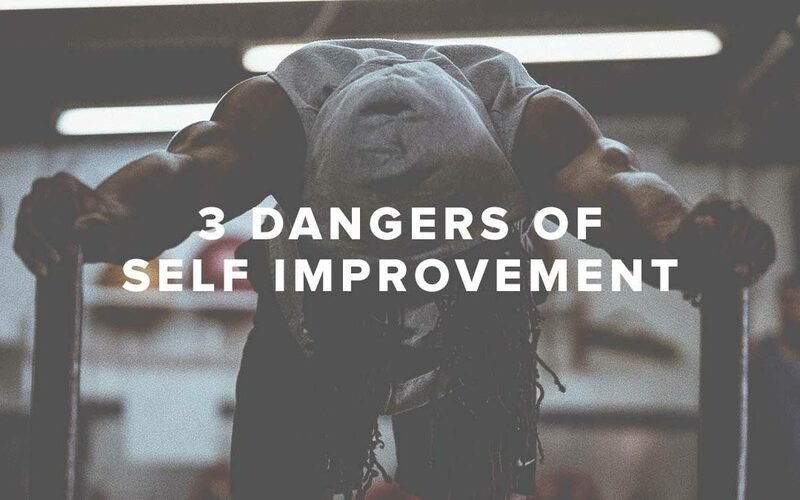 Self-improvement can’t be done in a vacuum–self-improvement is better together. If you would like to know more, check out my latest book Better Together; a surprising truth for introverts, extroverts, control freaks, free spirits, people persons, curmudgeons and especially you. Great simple point! Made me think about the pre-internet days. Rusty. Thank you for this and thank you for sharing what is going on in your personal life. That means so much to me to know that our own pastor has the manliness to speak the truth about himself and know that we are not alone in this journey and that you too struggle with such a situation that most of us, including myself, are going thru this exact same thing. Can’t wait for the release of your new book! Already pre-ordered it when I first heard it was coming out. Thank you Rusty. Very timely insights. I shared it with my FB Men’s group. Keep up the good work.